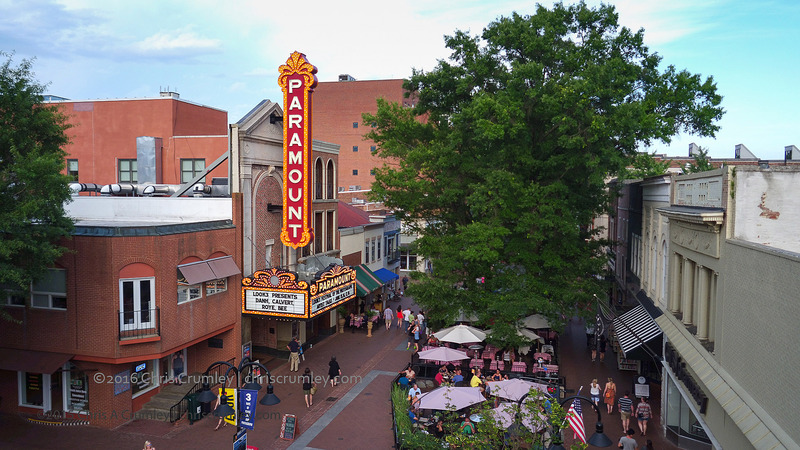 Paramount Theater, Look3, Charlottesville, Virginia this afternoon. I checked before flying the drone and it seemed to be okay. Then, afterwards, a nice lady Ambassador told me Charlottesville has a City No-Drone Ordinance. This was the image I wanted and the forecast is for the next two days is rain and winds, so no loss. Look3 is also known as the Festival of the Photograph. Perhaps it should be Festival of the Photographer. It's heavily weighted to National Geographic style imagery and there is presentation-after-presentation by some very talented artists. Thank goodness some of us do our projects where a flying camera is simply an artist's tool and not regarded as a "Privacy Wrecking Peeking Tom."